Tema, Dec. 29, GNA - A trader who advertised in 'The Mirror', a national weekly newspaper, asking potential immigrants to Britain, United States and Europe to contact him for their visa and succeeded in defrauding the people of more than 40 million cedis has been granted bail in the sum of 80 million cedis by the Tema circuit court 'B'. Kingsley Kofi Boamah pleaded not guilty and he is to provide a surety to support his bail and reappear on January 19, 2005. Chief Inspector Edith Nutakor, prosecuting, told the court, presided over by Mr Stephen Teye, that on July 24, 2004, the accused advertised in the newspaper that people wanting to gain employment in the USA, UK and Europe should see him to enable him secure visas for them to travel. She said following the publication, two complainants contacted the Best-Dream Travel and Tours", offices which the accused claimed he operated and after negotiations, he charged them 3,000 dollars and 1,800 dollars each for processing their travel documents, as well as 200 dollars for registration. 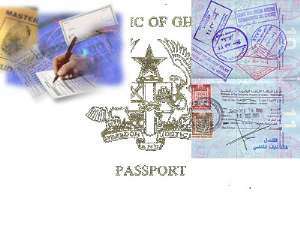 Chief Inspector Nutakor said in the same month, the accused travelled to Tema to collect 30 million cedis from the two complainants to enable him change it into dollars to complete the processing of their travel documents. She said after receiving the money, the accused failed to honour his promise, and went into hiding. On December 18, 2004, complainants had a tip off that accused had been arrested by the Accra central police in connection for a similar offence. They, therefore, reported to the Railway and Harbour police, Tema, and during investigations, accused admitted the offence and promised to refund the money.